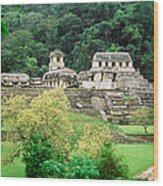 Oil painting of Palenque.Palenque was a Maya city state in southern Mexico that flourished in the 7th century. The Palenque ruins date back to 226 BC to around 799 AD.The Maya Empire, centered in the tropical lowlands of Guatemala and Mixico, reached the peak of its power and influence around the sixth century A.D. 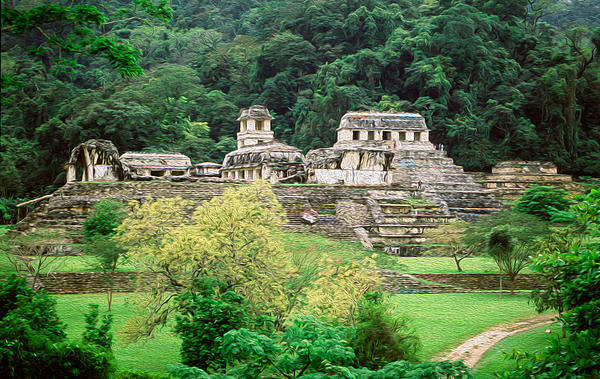 The Maya excelled at agriculture, pottery, hieroglyph writing, calendar-making and mathematics, and left behind an astonishing amount of impressive architecture and symbolic artwork. 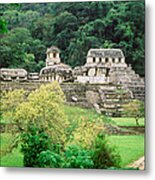 Most of the great stone cities of the Maya were abandoned by A.D. 900, however, and since the 19th century scholars have debated what might have caused this dramatic decline.